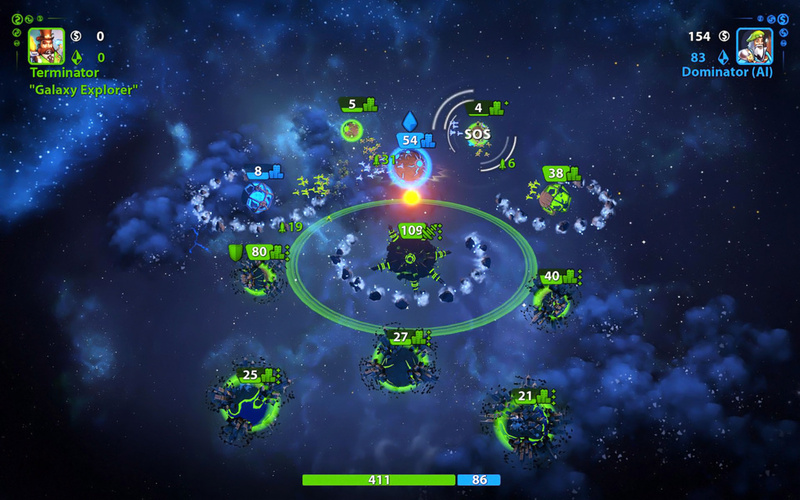 Planets Under Attack is a space-warfare strategy game that doesn’t take itself too seriously. 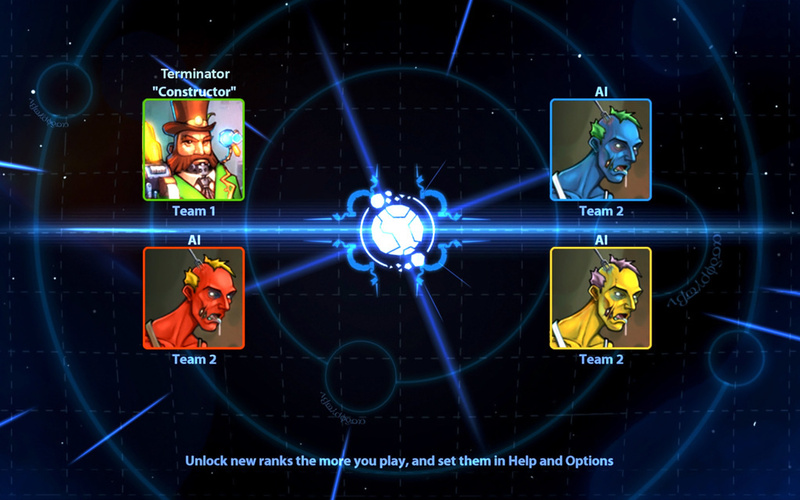 Backed by cartoon visuals and comedic characters, the game attempts to mix accessibility with addictive, tactical gameplay. To an extent, Planets Under Attack succeeds in what it sets out to do. Its gameplay mechanics are easy to understand thanks to a campaign mode that does a fantastic job of explaining each facet, without bogging you down with a ridiculous amount of information. As you progress through the first campaign, new strategies, planet types, and enemies are introduced at a rate which feels just right. The game also features three difficulty settings, ranging from easy to hard. Easy is particularly well balanced, giving strategy newbies plenty of breathing space while still providing a slight challenge. Hard, on the other hand, can be cripplingly brutal – there’s certainly a difficulty here for everyone. That said, each campaign level features additional objectives that, when completed, reward you with ‘stars’ which can be used to unlock bonus levels. But these objectives can only be accessed on harder difficulties, meaning grinding through the game on easy is out of the question. The campaign itself is comprised of numerous different stories, told through the eyes of several different characters. As previously mentioned, the characters boast colourful personalities, and appear as 2D portraits that spur the plot along with relatively basic dialogue. While the various plots of Planets Under Attack aren’t particularly memorable, they do just enough to give much needed context to the gameplay. Speaking of gameplay, there’s plenty of it here. 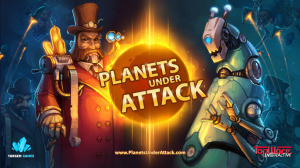 Despite being a downloadable title, Planets Under Attack houses a huge amount of content. Outside of the already gigantic campaign, the game features a free-style skirmish mode, online multiplayer, a massive amount of unlockable goodies, and its very own in-game achievement system. There’s no denying that you’re getting considerable bang for your buck. 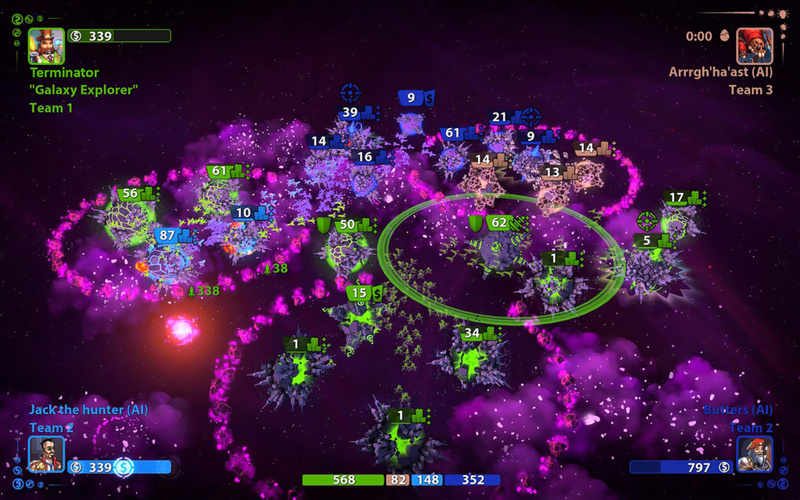 But quantity alone is useless without good gameplay, and thankfully Planets Under Attack delivers in that area as well. Each level has its own unique layout of planets, scattered around a small solar system or nebula. The aim of the game is to capture and upgrade said planets while keeping enemy forces at bay. Capturing neutral planets is easy – sending a fleet of starships to conquer your desired hunk of rock quickly becomes second nature – however things get tricky with the introduction of the enemy. Just like you, the opposing force also races to capture dormant planets, and it isn’t long before the solar system is bathed in galactic warfare. Upgrading planets becomes paramount, giving them more health and making them generate more Sollars – the lifeline monetary system of Planets Under Attack. Without enough Sollars, you’re not able to dispatch or move your fleets, or upgrade. Every possible action you perform requires a certain amount of cash, thus, maintaining a fine balance between attack and defence is principal to success. 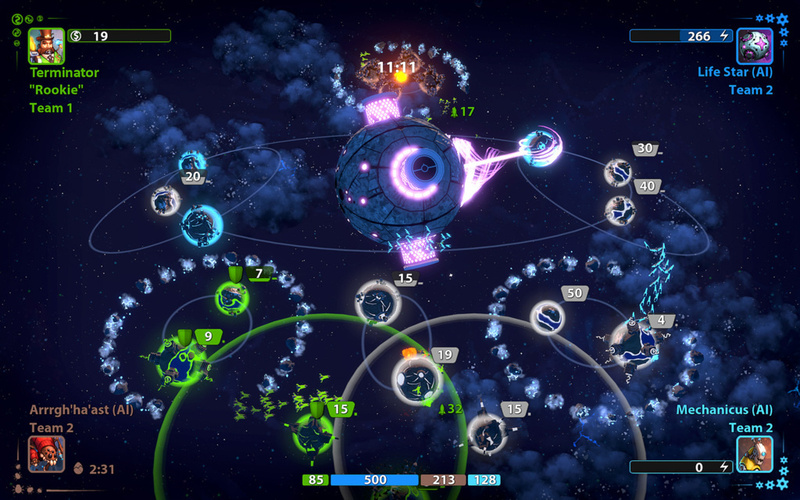 Combat occurs automatically – opposing ships track and blast each other out of orbit, with tiny explosions signalling where the majority of the dogfights are taking place. Each victory is accompanied by some satisfying sound effects, and decimating an entire fleet with a well-placed squad never gets old. Planets Under Attack offers a surprising amount of depth for those willing to look. More and more tactical elements are added with subtlety, and taking advantage of them is often required to fulfil the goals of a certain level. Taking control of a banking planet, for example, provides you with a considerably hefty source of income, allowing you to quickly take vast amounts of territory should the opportunity arise. There are even different races to take control of, and each play in unique ways. The insect-like alien faction hatch from eggs on planet surfaces and move through the galaxy in gigantic swarms, while the robots use their own bodies to upgrade planets, meaning money is of no concern. And, of course, playing against these different groups means that you must alter your own strategies, adding further variety to encounters. There’s a lot of depth to be found outside of general gameplay, too. Your chosen faction will gain experience points and level up upon successfully completing missions, and various perks are unlocked throughout the course of the campaign. Perks, or ‘techs’ as the game calls them, address things like fleet attack strength and the time it takes to upgrade a planet. Picking the right mix can give you a huge advantage over the opposition, and experimenting with different combinations can be fun. Planets Under Attack’s multiplayer acts as a good way to test what you’ve learned from the single player portion of the game. Though unsurprisingly, playing against another human results in far more frantic gameplay, and with so much often happening on screen at once, it can be extremely difficult to keep up. Sadly, this often strips the game of its strategic element, and matches quickly devolve into a mad scramble for planetary resources, devoid of much thought. 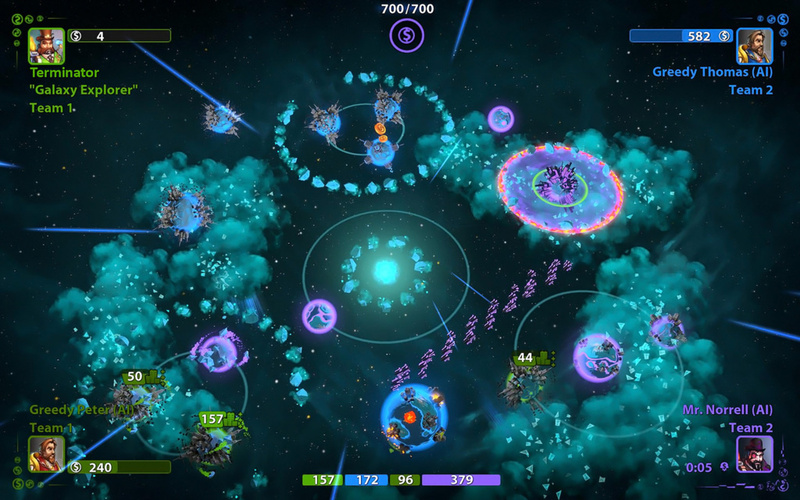 Aesthetically, Planets Under Attack presents itself as a light-hearted, often comedic take on the strategy genre. It’s full of bright colours and quirky visual effects, and the audio is suitably bouncy. Unfortunately, the style of the game often conflicts with the relatively mature gameplay tropes it’s trying to convey. While it’s nice to see a strategy game take this approach, it comes off feeling somewhat cheap and tacky. Planets Under Attack is an accessible, well-rounded strategy game that almost anyone can enjoy. Hiding considerable depth under its colourful exterior, the title does a great job of easing you into the rhythm of the genre. Despite some off-balance gameplay and presentation issues, this is another solid addition to the PSN’s bulging catalogue.